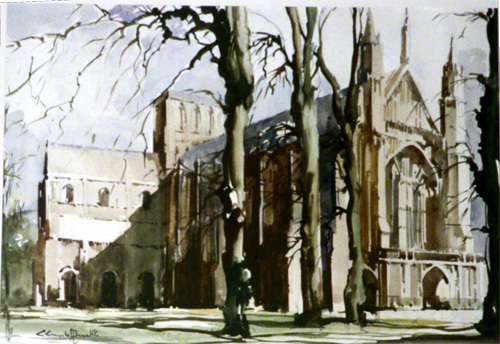 A water colour painting of the west end of Winchester Cathedral by Claude Buckle. This painting, drawn in winter time, may have been a sketch for the carriage print or may have been a private picture painted later. Created in 1952.